A garage is one of the important parts of a house nowadays. In fact, people use their main entrance far lesser than the garage entry. Most of the people use their garage as an extra storage space, keeping several household goods in this space. Therefore, you need to also ensure the safety and protection of these goods inside the garage. One of the crucial steps in this regard would be a strong garage door. 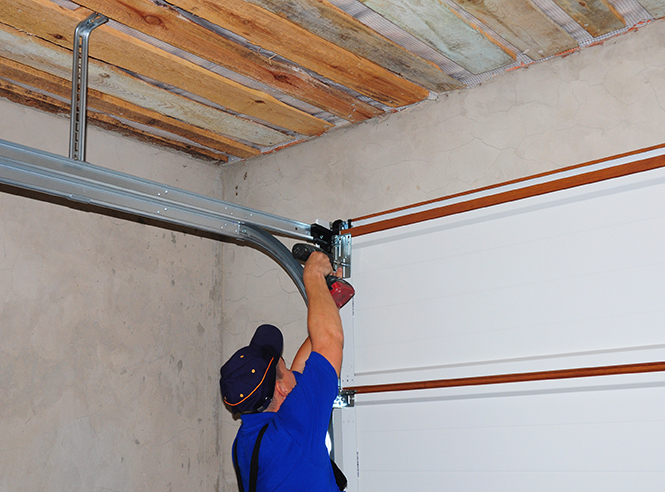 Make sure you purchase a sturdy garage door and install it in the right manner. We, at Complete Overhead Door, can offer you high-quality garage doors and also provide its repair and installation services. We are an experienced and reputed company which is known for their knowledgeable and well-trained technicians who can also offer you remarkable garage door installation services. And the best part is our charges are quite minimal too. So, if you are from areas such as Carrollton TX, Coppell, Dallas, Flower Mound, Fort Worth, or Frisco, you can resort to us. Here, we have put together a few essential things to check while hiring the right installation service for the garage doors. Take a look. First of all, you should make sure that the company you have chosen has been in this field for quite a substantial period. If it is an experienced one which has already catered to a number of people, it will be a reliable choice. So, check the experience of the installation company. Next, you should check the quality of technicians hired by the company. Make sure the technicians are well-trained, qualified, and knowledgeable so that they can use their expertise to install the garage door in the right manner. Lastly, you need to check the charges of the company installing your AC. Take the quotes in advance and compare them to make sure you go for the one which offers you the maximum quality at the minimum price. So, if you are interested in hiring us after checking these points, then call us at 817-482-1957 or 972-412-6069 now.